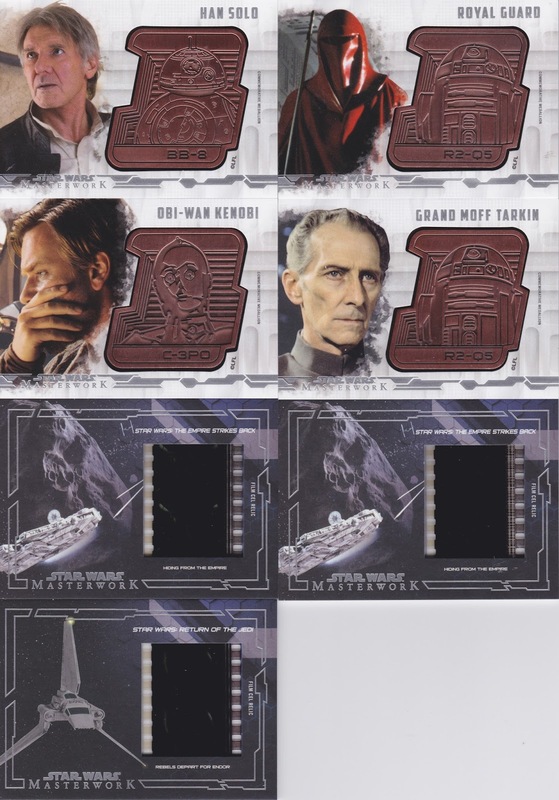 These medallions...hmmmm... the only good thing I can say about them is that they are numbered to /150. At least there is some sense of scarcity to them. The film relics are cool too, I had hoped they would scan better, as I got some good ones with major characters showing up in each. Ok, so now for the autos I teased! Behold! Yea, I couldn't bring myself to remove them from the mag holders to scan them. 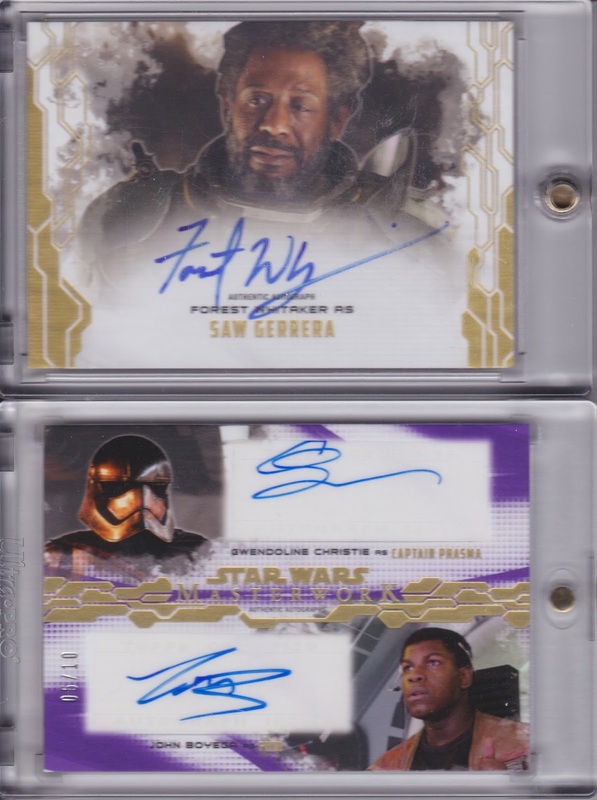 First is Forest Whitaker and it's a gold variation /25! WOW! I was pretty happy to get this well known of an actor! Then there is the purple /10 beauty that has Gwendoline Christie and John Boyega. 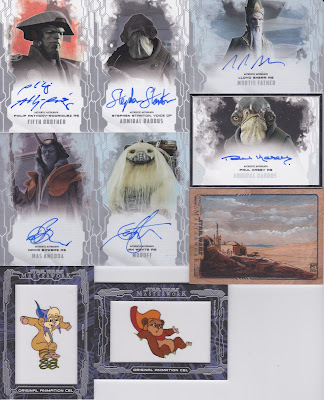 These are both headed to eBay eventually - I think I'm going to wait until after the 15th to post the dual auto! That is, unless one of you fellow Star Wars nerds makes me an offer I can't refuse! Have a great day, and do yourself a favor: pick up a box or two of this product! It's well worth it! Congratulation on all your great pulls! The Forest Whitaker auto is especially cool.